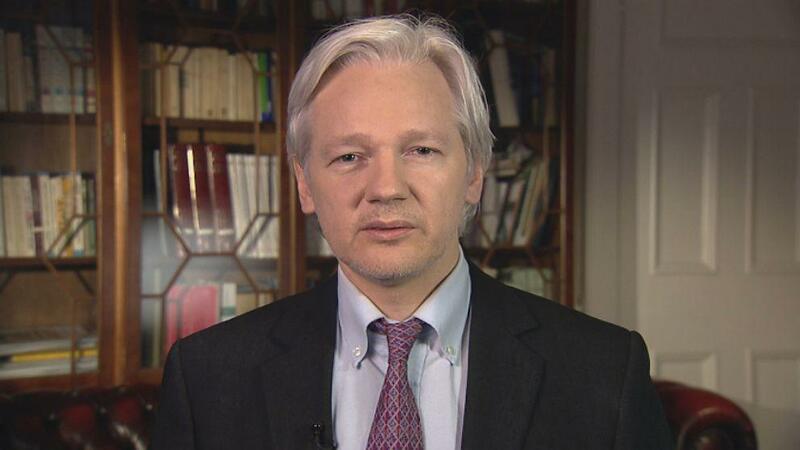 Assange made the comments during an October 29, 2018 court hearing requesting the restoration of his ability to communicate with the outside world. Transcripts of the exchange were obtained by the Gateway Pundit's Cassandra Fairbanks, who has traveled to London amid reports that Assange is about to be kicked out of the embassy - a claim Ecuador denies. It was when Assange began to criticize a 'weakened' Ecuadorian Government which he accused of being influenced by the UK and United States that things got heated between the WikiLeaks founder and Ecuador's General Attorney Inigo Salvador - who had the judge halt Assange's speech to interject. Assange was cut off by the translator, who asked "Mr. Assange, can you wait for a second? The Judge has halted your presentation. Please stand by. The Attorney-General is asking for the floor." Of course, according to Fairbanks - Ecuador's new president has been trying to get rid of his 'Assange problem' for a while. On Thursday, WikiLeaks tweeted that a "high level source within the Ecuadorian state has told @WikiLeaks that Julian Assange will be expelled within "hours to days" using the #INAPapers offshore scandal as a pretext"
The corruption scandal WikiLeaks referenced involves WikiLeaks' reporting on papers alleging that Ecuadorian president Lenín Moreno enriched himself from an offshore account in Panama — allegations which Moreno has vehemently denied. For his part, Moreno has ramped up pressure and scrutiny on Assange this week, saying in a radio interview that the whistleblower and journalist has egregiously and repeatedly violated the terms of his asylum. "Photos of my bedroom, what I eat and how my wife and daughters and friends dance [have circulated]," Moreno described, as reported by The Guardian. "We should ensure Mr. Assange’s life is not at risk but he’s violated the agreement we have with him so many times," Moreno said, according to the report. WikiLeaks says Moreno is attempting to generate a "false pretext" and publicly justifiable excuse on the back of the INA Papers scandal for ending Assange's asylum on the legal technicality that "conditions" have been broken. Whistleblower Edward Snowden, meanwhile, wondered over Twitter on Friday why Ecuador's Foreign Minister was tweeting about revoking asylum claims. Ecuador on Saturday denied that it has plans to expel Assange, or that it had an agreement with UK authorities to hand the WikiLeaks founder over. Ecuador's Foreign Ministry accused Assange of "ingratitude" towards his hosts, saying "the asylum seeker and his associates express once again ingratitude and disrespect toward Ecuador." Last Monday, this journalist visited Assange in the embassy and was locked in a room as an argument ensued between the publisher and Ecuador’s Ambassador Jaime Alberto Marchán. Assange claimed that he was being treated as a prisoner, that they would not let him meet a journalist in a room that did not contain surveillance equipment, and that the Ecuadorian ambassador was acting as an agent of the US government. In response to word of Assange's potential expulsion, supporters gathering outside Ecuador's London embassy this weekend. At one point, two UK cops enter the embassy, only to leave a short while later.